It is not the candle. You might thing your home network is complete after you buy a good router, but that’s not true! There’s a lot of ways to to improve it, and how you compute. But the best gadget to invest in after a solid router is a Network-Attached Storage, or NAS drive. 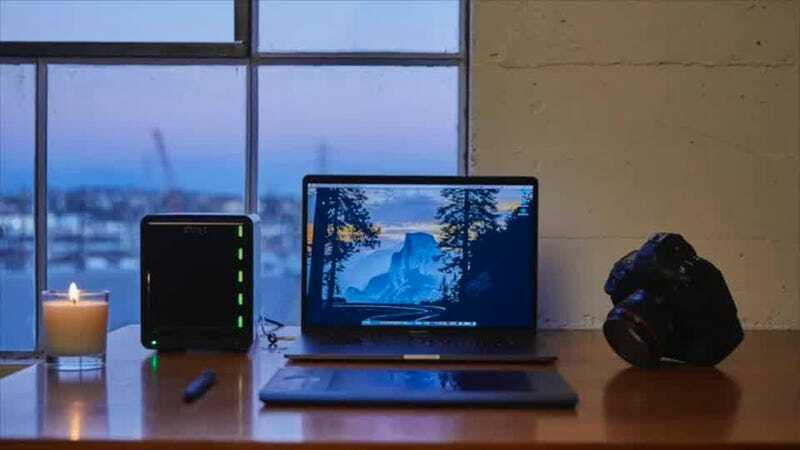 If you’re new to the idea of drives, they’re basically hard drives that connect directly to your router rather than one of your computers—and that gives them a number of advantages to the local hard drive you might have installed inside your laptop or desktop. Here’s why you might want to set up a NAS drive yourself. You do have to pay extra for additional drives to create this data redundancy, but it does minimize your downtime if a drive should suddenly fail—perhaps it’s an option to consider if you’ve got a home office setup or important work files at home. Plus, if you’re working on projects together—whether that’s a presentation with colleagues or a vacation photo gallery with the family—a NAS can make it super-straightforward to get everyone accessing the right files and folders, without syncing everything via the web first.